Flexible polyurethane chemically expanded foams. They have an open-cell structure with characteristics that are preserved after conformation: breathability, elasticity, recovery capacity after deformations, fatigue and tear-resistance and thermal and acoustic insulating properties. 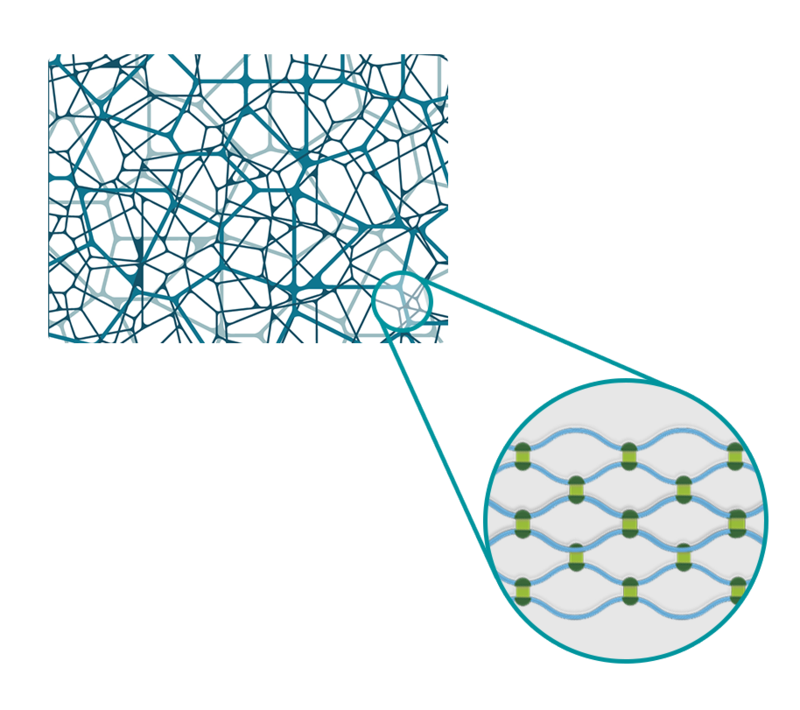 In open-cell polyurethane foams, each cell is connected to the others around it, enabling a very effective breathability. Furthermore, these properties are maintained after the conformation process. The main raw materials used in Starfit are polyol and isocyanate (TDI). It is a polymer obtained from the condensation of hydroxyl bases (polyols) combined with isocyanates, in this case TDI (Toluene diisocyanate). Its durability allows an increase in the lifespam of the product reducing energy by performance. Possibility of recycling Airfit foam waste and cuts by various methods. Either by means of new reactions (if a series of technical conditions are followed) or by grinding and reincorporating the recycled materials into new foams. If recycling is not possible, Starfit waste can be incinerated under controlled conditions.